One for a day trip outside of London! 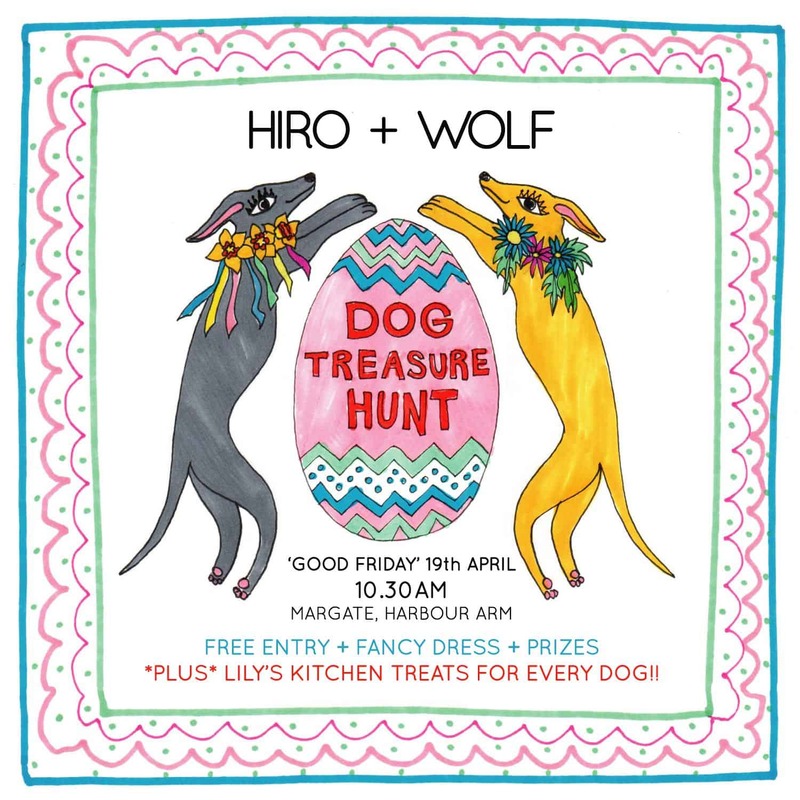 Our friends at Hiro + Wolf are organising a pawsome Easter Treasure Hunt for Dogs in the lovely seaside town of Margate on Good Friday. WHAT: A fun morning out with photo challenges and check points for you and your dog to enjoy on Good Friday. WHEN: Friday 17th April, meet at 10.30am outside the Visitor Centre on the Harbour Arm in Margate, Kent. Click here for a map. PLUS there will be FREE Lily’s Kitchen treats for all four-legged participants! This is a FREE event but please arrive at least ten minutes early to register with a member of our team. The Treasure Hunt will consist of three check points and three photo opportunities so make sure that someone in your pack has a phone capable of taking pictures and uploading them to instagram. The Treasure Hunt will be based around Margate Old Town and should take no more than one hour to complete. To find out more, visit Hiro + Wolf.